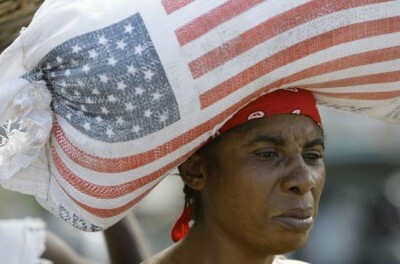 A new report from the Center for Economic and Policy Research (CEPR) identifies significant problems with the delivery of U.S. aid in Haiti and finds an overall lack of transparency on how the billions of dollars obligated for U.S. assistance to Haiti are being used. The report, “Breaking Open the Black Box: Increasing Aid Transparency and Accountability in Haiti,” by CEPR Research Associate Jake Johnston and Senior Associate for International Policy Alexander Main, examines the effectiveness of U.S. assistance to Haiti, how it is being administered, to what extent it is adhering to the “USAID Forward” reform agenda and what steps can be taken to ensure its more effective and transparent delivery. The report notes that the few audits and evaluations of USAID’s programs in Haiti since the earthquake present a “troubling picture of the manner in which U.S. relief and reconstruction efforts have been conducted so far.” Contractors have hired far fewer Haitians than promised, Haitian businesses were largely excluded, goals were not met, there was inadequate supervision of grantees, and USAID had not conducted internal financial reviews of contractors. The paper shows that of the $1.15 billion in contracts and grants awarded since the 2010 earthquake, over half went to the top 10 recipients of global USAID awards, with the largest recipient being the for-profit company Chemonics International Inc., the single largest recipient of USAID funds worldwide aside from the World Bank and U.N. Meanwhile, just 0.7 percent of USAID awards have gone directly to Haitian businesses or organizations. Much of the lack of transparency has to do with the scant information available on subawards – the subcontracting done by the direct recipients of USAID awards. Of the $540 million in contracts awarded by USAID, only one of them, MWH Americas, has reported any information on the use of subcontractors to the USASpending.gov database. Among grantees, only five have reported sub-grant data. The paper notes that despite USAID’s “Forward” reform agenda, the agency has blocked disclosure of additional information, including through Freedom of Information Act requests. The paper makes several recommendations for how to improve transparency and accountability around the $1 billion in outstanding obligated U.S. aid funds for Haiti, as well as around any additional aid funding in the future. These include making data available on subcontractors; ensuring awardee compliance with federal regulations and contract requirements; reducing reliance on large, multi-year contracts that favor traditional partners while increasing direct contracting to Haitian entities; strengthening USAID’s capacity to carry out effective monitoring and evaluation of assistance programs; making all evaluations publically available; ensuring the involvement of local populations; and making all available information on assistance programs accessible to Haitians – including via translations to Haitian Creole. “Without transparency, not only is it impossible for U.S. taxpayers to know what is being done with their money, but the Haitian government and the Haitian people have little opportunity to ensure that U.S.-funded projects actually assist Haiti in rebuilding and dealing with ongoing urgent humanitarian needs,” paper co-author Alex Main said.